In the first picture here, the late King Faisal of Saudi Arabia can be seen deliberating with Yoda, the renowned Jedi master of Star Wars fame, at the United Nations. This may not have happened in reality, but the photo — by Saudi street artist Shaweesh — represents a nascent local effort to connect Saudi Arabia with international protest culture. Through his exploration of American popular culture and classical Arab themes, Shaweesh encourages dialogue amongst his people. Yet despite the world’s awareness of the Kingdom of Saudi Arabia, the growing art scene in the country does not receive much world publicity. The Athr Gallery , alongside a band of artists in Jeddah, Saudi Arabia, has taken on the challenge of advancing an arts scene in one of the most conservative countries in the world. Athr, the leading contemporary art gallery in Jeddah has been featured at international exhibitions, including Artspace in Dubai and Biennale in Venice, Italy. Jeddah sits along the ancient silk and spice trade, and many of its inhabitants trace their roots back to Levant Arab traders. Partly as a result, this coastal city is much more cosmopolitan than the rest of Saudi Arabia. Abstract sculptures line many parts of Jeddah’s corniche. 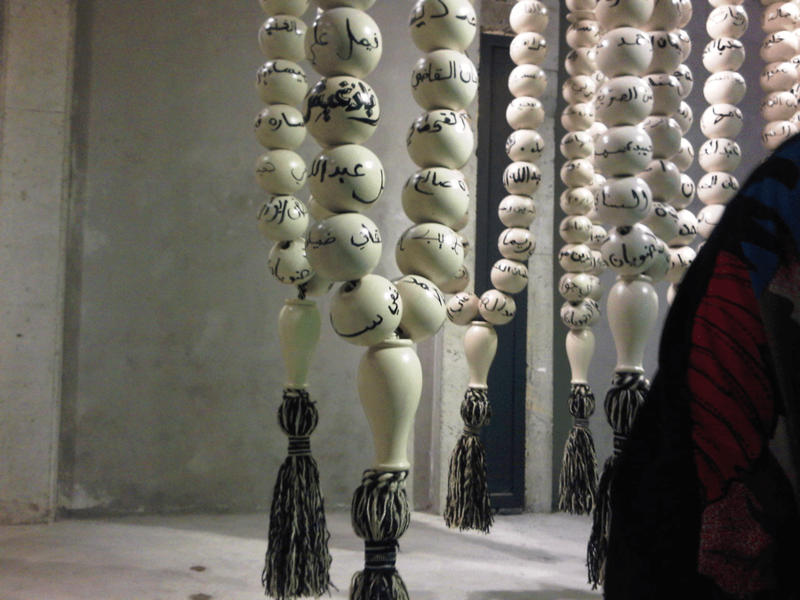 Kiyasseh shared the second photo here of subuh, Islamic prayer beads, that have female names written on them. As these beads suggest, art is increasingly being used in the city to speak out against the country’s oppression of women. Edge of Arabia is another Jeddah arts initiative that focuses on contemporary Arab art. This group has also developed an educational program that hosts seminars and leads workshops to train younger artists. Bringing in the greater community will certainly create a more robust and sustainable art scene within Jeddah and could even lead to collaboration in other parts of the country. Promotion of the art coming out of Jeddah can be used as a form of cultural diplomacy. Such openings will surely improve the Kingdom’s image within the region and abroad. However, these decisions ultimately lie with the House of Saud, which, as its other social policies suggest, not be interested in the artistic expression of their people.